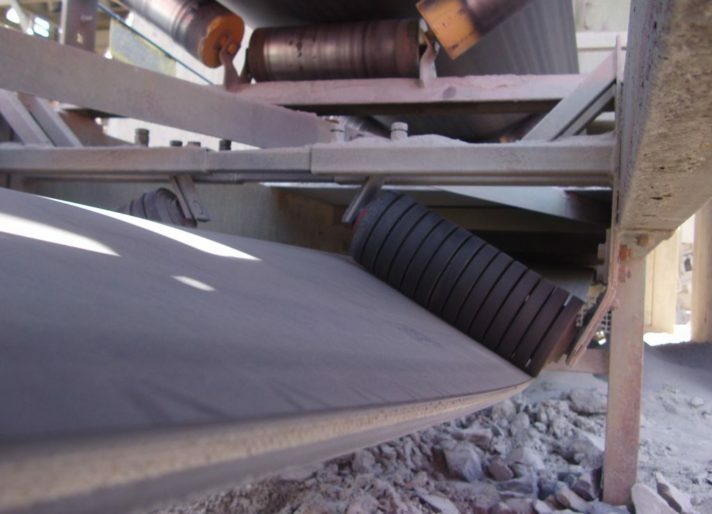 K-Trainer Belt Alignment Idler is an all-purpose conveyor belt tracking/alignment idler that will direct the belt correctly under most operating conditions. The two inverted vee rollers, put pressure down onto the belt, promoting centralised belt training. 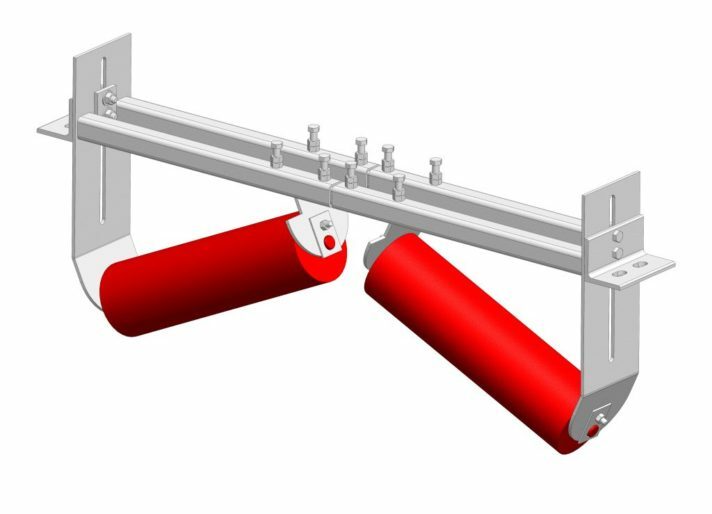 The universal frame adjusts to all types of mounting structures and is suitable for reversing belts. After installation, the unit requires no further attention. 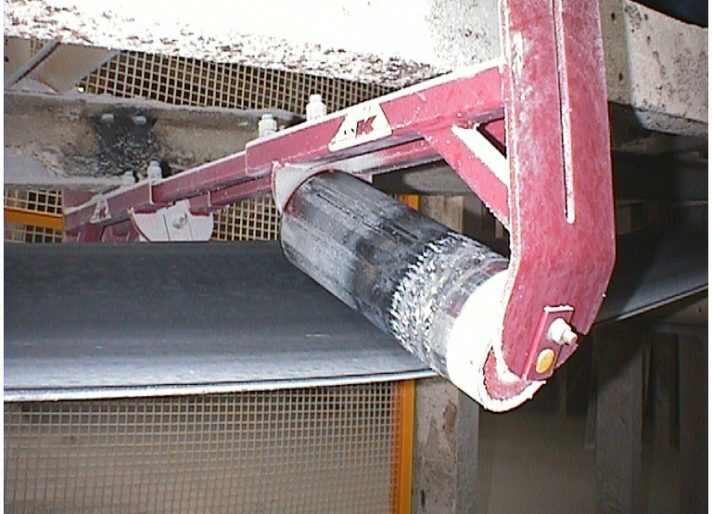 The K-Trainer Belt Alignment Idler is best suited to short centred or reversing conveyor applications. As the return strand of the belt is critical to maintain correct belt alignment, the K-Trainer is ideally installed just after the head pulley, or prior to the tail pulley as shown in the diagram. By having the return strand of the belt running true, this will help direct the carry side of the belt and therefore minimise material spillage and belt damage.